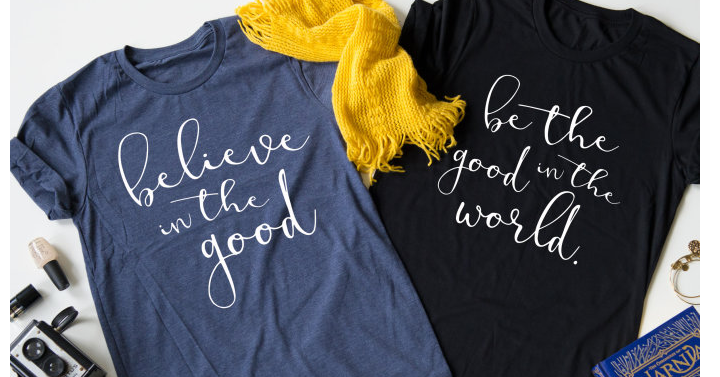 Be The Good Tees from Jane – Just $13.99! Can we all use another cute graphic tee? Yes please! Wow – I love these awesome Be the Good tees! These are so much fun! There are 2 different sayings and 5 different colors! These super soft and such a great addition to your wardrobe. So much fun for fall when layered with a plaid or denim shirt and fun jewelry! Check out the Be the Good Tees on Jane! I can’t believe how fun these are and they are a great deal at just $13.99!